Version 1.3.3 of BoardOff had the DXF file format export ( document exchange format used by many popular CAD programs such as AutoCAD) but the export function had not been wired up. Last night I had a chance to implement the DXF export function for the Board Outline and it was remarkably smooth sailing. 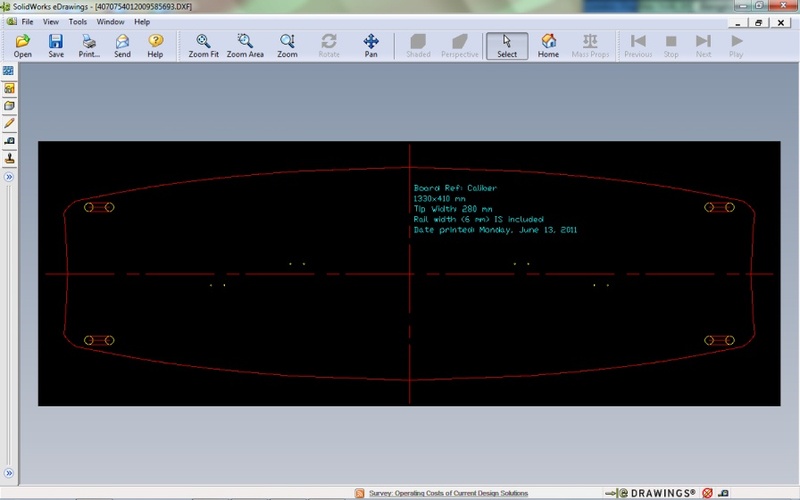 Here's a snapshot of the export function with annotations being viewed in SolidWorks DXF viewer. This will go up on the web in version 1.3.4 after another few functions are refined.